CHICAGO — How do you describe one of the best weekends of music you’ve ever experienced? How do you put into words the joy of seeing 37 extraordinary bands over three days? (*) I pity the poor sap assigned to that task. Oh, wait … that sap is me. I guess I’ll start by saying this: I’m still coming down. Even after a five-hour drive home from Chicago, after dealing with the day-to-days that can make my life monotonous, even after jumping right back into patrolling the streets of St. Louis — which is my day job — I’m still geeked out over what took place this weekend. I went to Chicago already plenty excited about all music has to offer. I came home with the same feeling … TIMES TEN. But how do I tell you about it? The best answer I can come up with is, “from the outside, in.” So that’s my strategy. We’ll start macro and work our way to micro. I’ll paint broad strokes, and then show you the details. There’s no way I can do this in one post. Or two. In fact, I’m thinking FOUR. Trust me: it’ll be worth it. 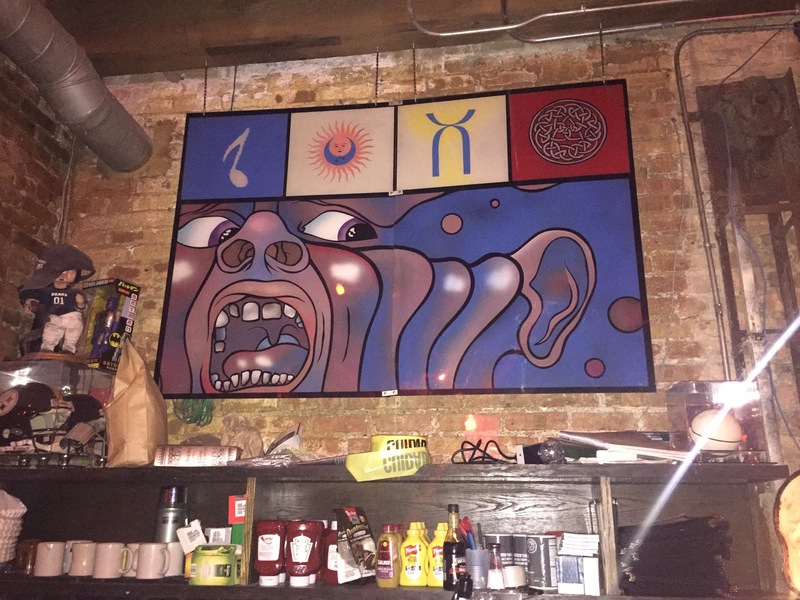 Progtoberfest III was held at Reggie’s, a club located on Chicago’s south side. Upon setting foot inside, the phrase “classy dive” popped into my head. I mean that in the most complimentary way. This wasn’t some pristine, tendy venue for “flavor of the month” Top 40 artists. No, sir … MUSIC is made here! The venue holds two stages on the first floor. The Music Joint (on the left from the outside) holds about 150 people, comfortably seated. Take a stroll through the concrete corridor to the right and you find yourself in the Rock Club, which holds twice as many, easily. I was excited to learn there was a record store on the second floor. I was equally crushed to learn the store had recently closed, though I understand it may resurface elsewhere in the future. On the plus side, I was able to get a couple of cool t-shirts. 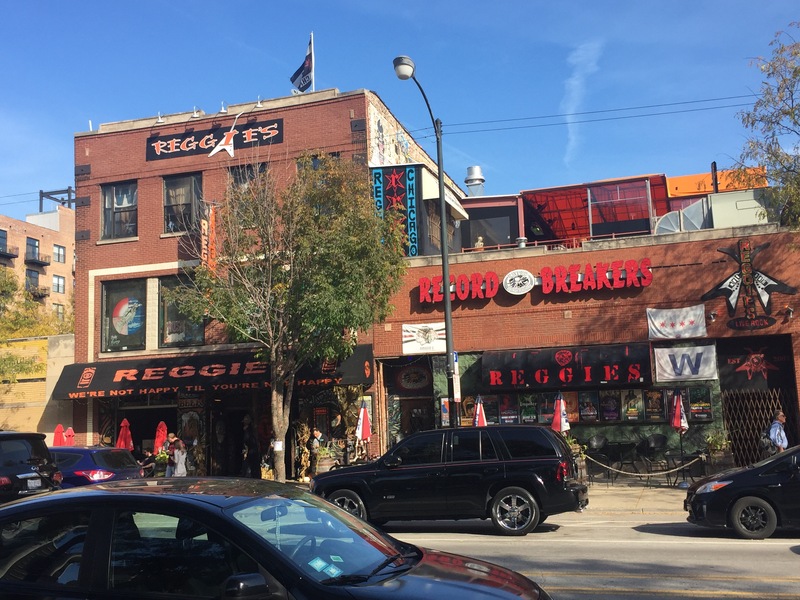 There can be no denying the vibe Reggie’s emanates. Frills are minimal, so the energy goes directly where it belongs: to the stages and the musicians playing there. That’s really all that matters. 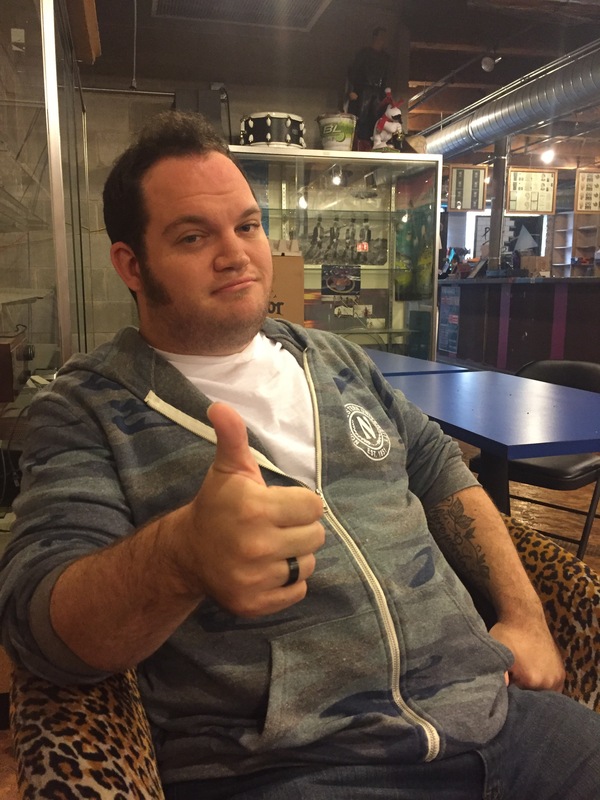 Progtoberfest is organized and coordinated by Kevin Pollack, a highly energized, goal-oriented self-starter with a deep passion for music. He’s also affable, sociable, and highly likable. It’s not easy to find all these traits in the same person. It would be easy to for someone in Pollack’s position to see himself as bigger than the event. After all, he IS the man keeping the trains running around the club. But Kevin goes in the opposite direction, exuding a laid-back, humble persona and a sincere desire to make the music all that matters. I must admit, at one point I started to feel sorry for Pollack. I know how crazy that sounds. My rationale is this: it’s clear the man has a deep-seated passion for music. But how could he possibly have time to enjoy what he had worked so hard to put together? As it happens, Pollack had more time on his hands than I thought he would. “These guys here at Reggie’s are incredible,” he told me. “They are one of the best crews around. Everything has been running so (smoothly) on both sides with the changeovers and what-not … my job is done. There were little bumps, but they were easily fixable. I was telling friends this is the first time I’m actually enjoying a Saturday, completely relaxing.” Pollack’s perfectionist nature still kept him on the move, but in a much more enjoyable way. Pollack’s deep knowledge and love for progressive rock and jazz fusion feeds his ambition to make Progtoberfest bigger every year. Originally a one-day event, the festival has grown to three days. The 39-band lineup is most likely the largest of its kind. And he wants to keep it going annually for as long as he can. In fact, Progtoberfest IV has already been scheduled for October 19-21, 2018. I, for one, plan to be there. Progtoberfest is a study in continuous motion. When Sons of Ra took the Music Joint stage Friday afternoon, the music ran virtually non-stop for the next three days. One performance ran seamlessly into the next. There was next to no time for idle standing about. The fans could enjoy an entire set by one band, but that meant missing the beginning of the next set on the opposite stage. I’ve always told people that I hate to be late for movies, ball games, and concerts. But I had to suspend that rule to get the most out of this festival. So of the 37 bands I saw, I only caught three sets in their entirety. Each was a conscious choice. The format works, and I have no complaints. While the festival’s emphasis was on progressive rock, there were more than a few jazz, fusion, and post-rock elements present. Music came from several directions. It was almost overwhelming! I can’t wait to tell you about them. Which I’ll do next time. (*) There were 39 bands scheduled. One had to cancel due to visa issues. I skipped one set to conduct an interview. I’ll make it up to them. Still, 37 out of 39 bands isn’t bad. Tags: kevin pollack, prog music festivals, progtoberfest, reggie's. Bookmark the permalink.